From the beginning Ron has been with our office. In the early days he was “Of Counsel” to our office. Commencing in April of 2014 he joined our office as Senior Trial Counsel. In addition to his duties with us, Ron is also the part time special Village Prosecutor for the Village of Bronxville, New York. It is Ron that prosecutes the parking tickets, speeding tickets, and other moving violations in Bronxville. This unique perspective makes Ron a great advocate for our clients. Being a Village Prosecutor puts Ron in the “prosecutor’s club.” This gives our office an edge in negotiating a plea to a reduced non-moving violation for you, because like Ron, the majority of the traffic ticket prosecutors throughout New York State are part time with their own practice. So they identify with Ron more so than with other attorneys, which equates into great deals for our clients. Ron is a career criminal defense lawyer. He is an alumni of Iona College in New Rochelle, NY, having received his undergraduate degree in 1882. Ron then received his law degree from Thomas M. Cooley School of Law in Michigan in 1990, and began practicing law in New York in 1991. Ron began his legal career working for the Westchester County Law Firm of Servino & Seymour. There he was appellate counsel, prosecuting appeals on behalf of criminal defendants whom were convicted of misdemeanors and felonies before all appellate courts in the State of New York. After a few years Ron left the firm and opened his own criminal defense law practice, representing persons accused of felonies, misdemeanors, and infractions, as well as continuing practicing criminal appeals. 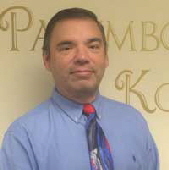 In 2011 Ron was selected as a part time Village Prosecutor for the Village of Bronxville. Ron has represented both motorists and the government in prosecuting and defending allegations speeding. This has given Ron an insider’s look at what the police are really doing when they write you a ticket, how enforcement equipment is really maintained, how the police are really trained, and knows what the real motivation is behind traffic enforcement. Very few traffic ticket defense lawyers have seen a case from all the angles Ron has. Because of this, Ron is able to exploit this knowledge in order to get you a better deal or your case dismissed.